So we know that SayUncle posted here his theory for what happened with the Brady Blog. I suspected that Macca was a young staffer, but I would appear to have been incorrect, after comments on my post here. I am fairly certain that I know Macca’s true identity at this point. In the interest of decency, I’m not going to out who she/he is. My personal curiosity was merely to find out whether we had some real grass roots showing up on Brady’s Blog or whether we had people closely associated with the organization showing up to make it appear that way. Macca would appear to be a board member for the Brady Campaign, and an activist with the organization in Texas. It would appear Macca is not full time paid staff, but nonetheless is closely associated with the organization. Just for contrast, SayUncle isn’t even a member of the NRA. 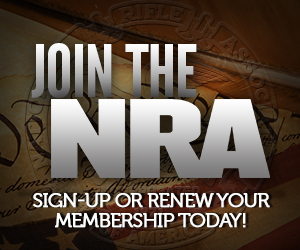 I am a member, but I doubt there are any NRA board members out there who would know me if they saw me. I have met some prominent people in the gun rights community, but all those contacts I developed through blogging. Before I started blogging, I was just a number in the member database. I started this blog, because I cared about the issue, and I wanted to impress a chick. All of us have similar stories. I have no doubt that Macca is as passionate about gun control as I am about stopping it, but if one of the few proponents of gun control that’s showing up to argue against us, on their own blog, is a Brady Board member, they have a lot of work to do getting people energized about their issue, and getting them informed. The gun control movement has had three decades of a fawning media who were willing to eat up everything they said without question, and regurgitate it for public consumption. The new media isn’t going to work that way. We’re out here and prepared to challenge them, and their new media efforts to date stand as a shining example of how unprepared I think they are. They had better come up with new arguments, and get used to dealing with tough criticism and questions, because it’s not going to get any easier from here. We’re all going to make sure of that! Now all you need to do is determine if Kelli~ was a real person or just an automated program Paul wrote. I think that when you represent yourself in front of the legislature as working for the organization, are listed as a press contact in releases, and serve the minimum 2 hours/week on the board, you’re as close to a staffer as one can be without being on the formal payroll. I’ll be kind and not out the name. But I will say that as a career non-profit worker, I consider denials about working for the organization when you serve on the board is out-and-out lying given what’s typically asked of board members. Oh it’s probably that hag [redacted – Ed. Sorry JimW – feel free to e-mail me]. I like how he switches to “he/she” after figuring out the identity. Why encourage them to come up with new arguments? This isn’t some academic debating club. Let’s destroy the gun ban movement outright. If Macca is a Brady Board member who’s also a lawyer in TX, then I know who he is too. I didn’t really mean it as actual encouragement, just pointing out their arguments are old, tired, and don’t work when they are scrutinized by knowledgeable people. I’m pretty confident there’s no new arguments they can come up with that we’ll be unable to deal with. This has been a really pleasant day for me. Kelli is a real person. We’ve had e-mail’s between us, and without her knowing I have verified her identity. She is who she says she is, 100%. I don’t agree with her, and I think she 100% wrong on the facts, but she has never lied about what she has disclosed about herself. I would also like to thank you guys for outing Macca as a member of the Brady Campaign board. It says a lot that those of us posting on the pro-rights side are real “rank and file” gun owners whereas the only support the BC’s own sight can drudge up is their own staffers and board members. I also agree 100% that we are in a new age of media that no longer caters to the same old “slight of hand” tricks the Brady Campaign has relied on for many years. Now, facts can be checked, lies disproved, and fear mongering exposed almost as fast as their statements are made. I also think that they have “gone to well” once too often and now their is enough proof of their lies and deceit floating around to be used against them. I, too have no doubt that Macca is passionate about gun control, but the Brady Campaign and its ilk is not interested in informing people, they’re interested only in frightening them into supporting legislation that they don’t understand the actual consequences of. If they actually informed people, as they learned through their failed blog experiment, they’d lose even more support. When I started researching, I was REALLY pissed off by the deception, obfuscation and outright lies promulgated by the gun-control side. I was none too happy with the same tactics performed by the gun RIGHTs side, either, but one was done in the name of eliminating an enumerated right, and the other was done in defense of that right. On top of that, the gun CONTROL side’s lies were far more blatant and egregious, and were willingly and enthusiastically spread by their allies in the media. As you said, the new media finally offers a way to counter their lies, and that way is growing more and more effective. People don’t like being lied to. Showing them that they’ve been treated like a moron, even if it’s “for a good cause,” tends to sour them on that cause. no, i’m not a brady board member. i would love to be on the board but no one has asked me. i told everyone on the brady blog early on that i would not tell who i was, nor what state i lived in…just that i was a volunteer with the brady campaign. i am not a staffer and not a brady board member. just someone who hates the gun violence in this country. why do you need to know more? i don’t ask you your name or what you do or if you are a member of the nra or even if you own firearms. guess i should go away now that all you care about is who i am and where i live…not about the issue itself. Oh, please macca. When we’ve tried discussing things w/ you you’ve thrown out more insults and then rapid fire posted a bunch of newspaper links. You make up lots of anecdotes that have little basis in reality then cry that we’re the ones not wanting to discuss things. You’re just as disingenuous here as you were over on the Brady Blog. Your organization is so sure of itself that it chose to no longer allow discussion of the topics. The only way they can survive is if nobody points out the constant misinformation. Is that the kind of group you want to belong to? The answer is pathetically yes. I don’t really care that much about who you are Macca, which is why I’m not naming names. I just don’t think you’ve been truthful about your association with the group, and I think it speaks to your group’s honesty in dealing with people. If I were an NRA board member, I’d admit it. Then why does the BC site say you are right below your pic? It’s from ’06 so maybe a former member, eh? Regardless, you’re astroturf and not grassroots. guess i’ll go look at the website and see who i am! We’re all willing to engage. Your side isn’t. What was the pro to anti gun comment ration at brady? 10 to 1? You’re charlatans and that’s why you’re losing. Oh, and you may not be. It’s possible someone used something associated with you without you knowing. But if I were a betting man . . .
thanks for the link, i didn’t see me. but did see a part of the website i’ve never discovered. thanks! Hm. Four or five comments between reading this and clicking a different link that pointed here. Good job Uncle! no one’s buying it. you’ve been caught. I mean, i guess it’s possible someone not only used something associated with you without you knowing but they also picked a nickname that denotes a fan of someone with that same name? And, of course, you insider level knowledge of the BC. Evidence is circumstantial, of course. But I’m convinced. And since you state we avoid talking about the issue, here’s a challenge: you can post at my blog whenever you want. I’ll set you up as an author. You can make your case. I and my readers will make ours. Comments there will be welcomed. Let me know if you’re interested, I have your email address. It’s on your press releases. sebastian, you can delete that link. I wanted macca to see it. Let me also offer a history of the nickname Macca, from the Wiki. You should pick better nicknames if you want to remain completely anonymous. Like I said before. It’s not that we want to out you. There was just something fishy about denying your close association with the Brady’s. You reported on the blog that you took a donation, and handed out a business card. I’ve known enough NRA “volunteers”, even ones who have business cards, to know they won’t take donations for the organization. Granted, NRA is a lot larger than Brady. But it seemed like an odd story for someone who denies close association. We hold out the possibility that we’re wrong. But the circumstantial evidence is pretty damning. Remember, this is the Brady Bunch we’re talking about. Evidence is ignored. I think we’re seeing that right now with emphasis on so called “gun safety” regulations or “illegal” guns (as opposed to outright bans, retroactive licensing proposals for current owners , tax increases, etc.) that appear peaceful and benevolent on the surface. Taken together (in areas such as New Jersey) they add up to an operational ban because of bureaucratic hassles. Gun control supporters (like the Brady Campaign) can always claim the “moral high ground” that guns are not being banned and that anyone is free to navigate the process. After all, who would be opposed to “gun safety” or “training”? Businesses won’t sell guns because of increased costs, local governments don’t want gun shops operating in their jurisdictions so they don’t grant them use permits/business licenses (unless they are constructed like Fort Knox, employees have submitted retina scans, etc. ), and citizens need a great deal of money and/or political influence to navigate the process. The ultimate goal is to reduce our numbers, and thus political influence. Once we’re weak, they’ll go in for the kill. New Jersey is a fine example of this. While no state has taken the step, yet, to ban all guns, or ban all handguns, New Jersey has come pretty close with the smart gun law. All it takes is a bureaucratic decree that the technology is sound, and overnight, there will be no more guns sold in New Jersey, except for whatever model “smart gun” is offered. The police exempted themselves from the law, since apparently their safety doesn’t matter. Or maybe it does, and the whole thing was just a ruse to ban guns. Heh, I started digging before I had read all the comments on this thread (thank you yellow dye #5) and solved the puzzle with just the basic clues that were given. Macca, eh? Maybe there really is something to the cheesy plot line where the villain subconsciously leaves clues to her undoing. Macca, you keep reloading this page. I think it’s safe to say we’re done talking about you now :) Have a look around! I’m sure you’ll find plenty of other disagreeable things. I remember macca saying one time that he/she was a volunteer for the BC. That wasn’t inaccurate. She does not get paid. But she’s still astroturf.